Want to be invisible in paparazzi photos? Try this paparazzi proof scarf! Are you a celebrity, camera shy person or someone who doesn’t like their picture being taken by strangers in public? Here is the perfect solution for you. Presenting (drum rolls please)… a new ‘paparazzi-proof’ scarf! Say no to unexpected pictures and videos on Facebook, Instagram and Snapchat! It’s called the ISHU scarf and is designed by the Dutch-born fashion entrepreneur Saif Siddiqui who aims at giving people their right to privacy back. In 2009 Siddiqui attempted to take a photo of him using an iPhone in front of some bikes. He observed that the bike’s reflector manipulated the flash of his mobile camera in a way that obscured the faces in the picture. He immediately realised that if developed into the right product, this feature would be an ideal solution to people who want to keep their private moments in public private. 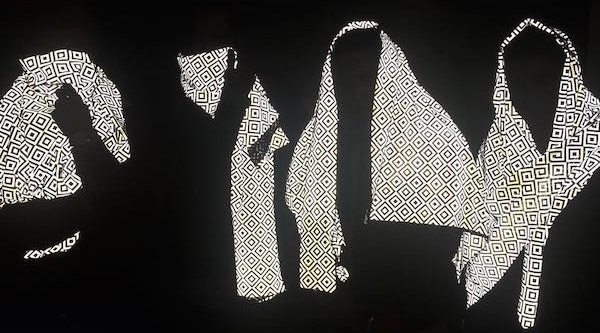 The scarf reflects the light back into a camera, effectively becoming an ‘invisibility cloak’. Perfect for anyone who does not want their photo taken. 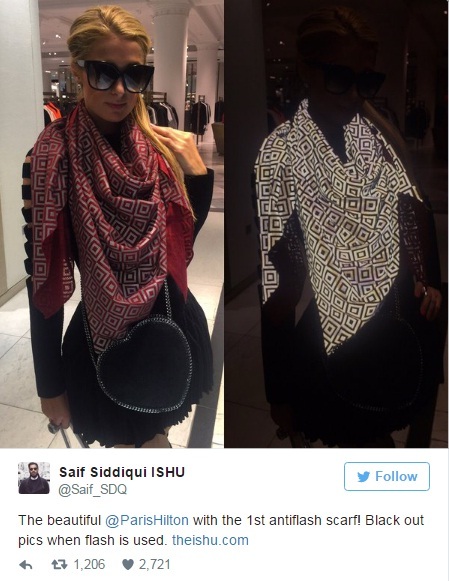 If you are wearing this scarf, you are sure to be protected from mobile flash photography. The fashionable fabric effectively blocks any unwanted pictures. Pss… However, it does not stop no-flash photographs from being taken. A host of celebrities including Cameron Diaz, singer Joe Jonas, Bayern Munich footballer Jerome Boateng and music producer Major Lazer have worn the ISHU after it was spotted at London Fashion Week last year. Looking for personalised promotional scarves? We at i4c Publicity Ltd have more than 15 years of expertise in manufacturing custom made bespoke scarves for corporate organisation and sporting clubs. Call us now on 024 7666 7440 for a FREE no-obligation quote or email us your design and requirements and we will get in touch with you.